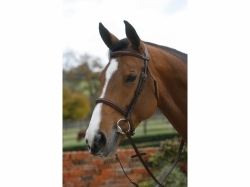 A new addition to the Mark Todd Leather Work range, this soft supple Mark Todd Performance Patent Piped Flash Bridle is made from the finest quality leather with stainless steel buckles. 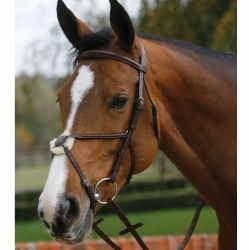 This provides optimum comfort for the horse with an integrated head piece and ergonomic browband. 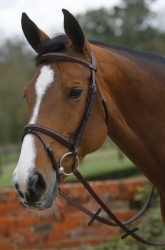 This bridle fits like a glove!This bridle has all the great features of the Performance Flash Bridle but with a delicate, pretty patent piping to the noseband and browband.Comes with a complete set of Mark Todd rubber reins.